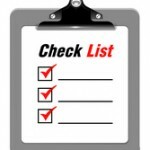 Checklist for Financing and a Smooth Closing! You are here: Home / Home Buyer Resources / Financing a home in Arizona? Five Steps to a Smooth Closing! Financing a home in Arizona? Five Steps to a Smooth Closing! Financing a home in Arizona? Take these steps for a smooth closing! How can you avoid unexpected complications between the time you find the new home of your dreams and the day you close on the deal? 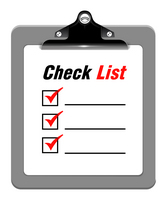 Use this checklist to help ensure all goes smoothly. Do not make any non-payroll deposits into any accounts without first checking with your loan officer. All funds to close must be verified as your funds or properly documented gift funds prior to close. Keep that in mind when depositing any random cash or other deposits that might not be able to be verified as the lender will not be able to use it. Don’t accept any gift funds for your loan. There is specific paperwork to fill out and a specific procedure that must be followed regarding gift funds. Either of these two things could potentially hold up closing your loan. Reserve funds for closing. In addition to your down payment, you will need to reserve funds for closing costs. Depending on the type of mortgage, these costs can range from two percent to three percent of the loan and must be paid in cash (certified check) at closing. These cannot be borrowed funds. Obtain home insurance. Another key part of the financing process is obtaining home insurance. The lender will need proof of a valid homeowners insurance policy secured before closing. Obtain a copy of the settlement statement. Before closing, obtain a copy of the settlement statement. That indicates the total amount of funds you will need at closing to cover the balance owed on the property and other disbursements. It also gives you a chance to resolve any potential discrepancies. Once in agreement a revised settlement statement will be provided so title can be smoothly transferred to your name. The Kolb Team is a top producing real estate team that specializes in active adult living in Sun Lakes Arizona and other East Valley active adult communities. Part of our service is partnering with top notch professionals to ensure a smooth closing for buyer and seller. One of our lending partners is Glen Reiley with Bell Mortgage Company. Call The KOLB Team at 480-440-0849 for more information about Sun Lakes Arizona or any active adult community in the East Valley of Arizona. We know the market and we can help you buy or sell a home!